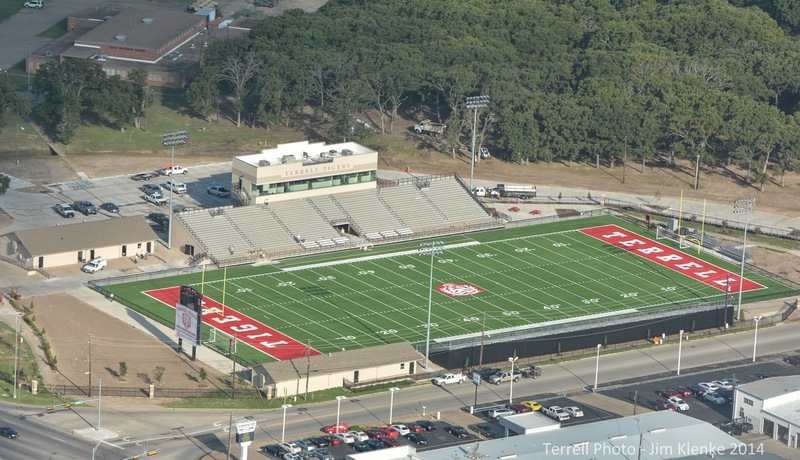 A few weeks ago the Mayor of Terrell Hal Richards gave me a plane ride over Terrell to photograph the renovated Memorial stadium. I've already shared a few pictures from the ride. This was on the cover of the All Sports Program sold Friday night. The program sold out.